We all have talents. The difference-maker is how we choose to use them. The 2018 SAGE winners have spent lifetimes extending their gifts to others. 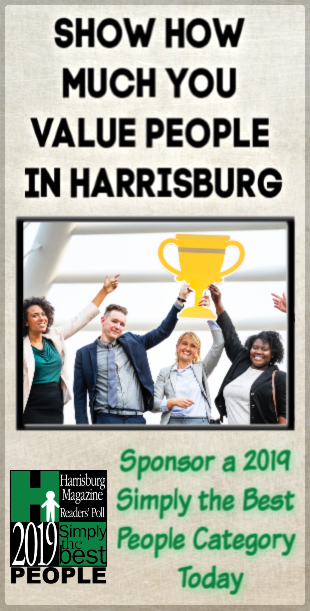 Whether supporting missionaries, advocating for pedestrian-friendly communities, instilling lifelong learning, or – yes – getting arrested in the name of justice, our honorees are truly Savvy, Active, Growing, Enlightened. He was one of four siblings ages four and under when their father died. Their grandfather built the family a four-room house. Neighbors offered rides, because the family had no car. All three brothers studied civil engineering in college. Allen graduated from West Virginia University and came to Harrisburg to work for Gannet Fleming. An eventful career with Gannet Fleming ensued. He was primary designer for the South Bridge that carries Interstate 83 traffic over the Susquehanna River. He conducted inspections riding atop the World Trade Center elevators. He helped write a federal highway tunnel inspection manual. For his “last great claim to fame,” he authored a National Academies of Sciences manual on the asset-management approach to tunnel repairs. 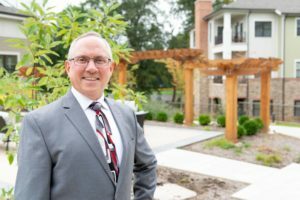 Rising to become a senior vice president and board member of Gannet Fleming, he feels that “the Lord has blessed me financially,” so he gives back in many ways. 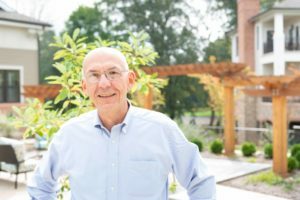 He established a West Virginia University scholarship for civil engineering students in need, because he couldn’t have gone to WVU without a loan and scholarships, and the school taught him all the principles that helped him succeed at Gannet Fleming. He and his wife, Kay, support the efforts of their three children. That includes the ministry of his daughter and son-in-law, missionaries in the Philippines, and the school their children will attend. “They have a wonderful church and wonderful people there in the Philippines,” he says. Allen serves on his church’s deacon board. As chair of the church’s private school, he took a crash course in QuickBooks to help with finances. He and Kay visit fellow church members who are hospitalized, or take meals to those in recovery. In retirement, he and Kay decided to focus on their health when a visiting missionary introduced them to a weight loss plan. Both had excellent results, so Allen is now coaching others in his drive to help them improve their lifestyles. In all his endeavors, he strives to instill high ethical standards, in a cheerful manner. “Teachers sow the seeds,” she says. “We never know when they germinate. Eisenhart’s passion is teaching, and so is the pursuit of lifelong learning that led her to advocate – successfully – for pedestrian-friendly changes at a busy intersection. She taught first grade and special education, hoping to instill life skills and a love for learning in her students. Volunteering for York County Council of Churches, she led workshops teaching classroom techniques to Christian educators. After retiring, she volunteered in her grandchildren’s school. 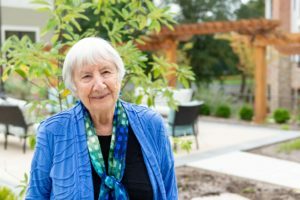 Her own pursuit of knowledge led her to an Osher Lifelong Learning Institute, or OLLI, class at Penn State York. The class presented by the Coalition for a Healthy York County addressed the benefits of pedestrian-friendly communities, a topic that interested her since giving up driving due to limited vision. Remembering her OLLI class, she called her borough council president. Then she called the York County Planning Commission. She contacted Rabbit Transit. She called PennDOT. She learned that any requests for county planning funds would require the borough’s endorsement. She researched and created a presentation and gave it at a borough council meeting. Finally, Eisenhart stood up one day, and council members said she would be very happy. Plans for pedestrian-friendly improvements included Eisenhart’s intersection. There would be crosswalks, curb bump-outs, and changes to traffic-light patterns. “It will take two to three years to complete, but that’s fine, because it’ll benefit so many more people,” Eisenhart knows. In fact, Eisenhart won’t be a direct beneficiary. 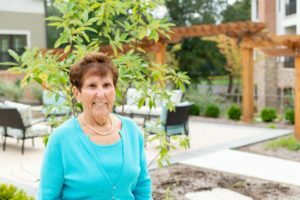 She recently moved to a York-area retirement community, where she already has her eye on improving the pedestrian experience at a nearby corner. John Maietta teaches history for the lessons the past can share. Also, “sometimes it’s just fun.” Such as the day of his Pathways Institute talk on World War I and the notorious Red Baron. Maietta has finally figured out what he wants to be when he grows up. He is teaching. Inspired by his high school teachers, that is what he always wanted to do, but he took a circuitous path. Out of college, the native of Williamsport took his only job offer. It was also 1971, and he had a low draft number. He joined the Army Reserve, starting a journey that included time in the National Guard of three states and the District Columbia, and ending with retirement from the Army Reserve as full colonel. His civilian career included communications posts, freelance writing and photography, and press secretary for the Pennsylvania Army National Guard’s adjutant general. With the opportunity to “shift gears” after retirement, Maietta earned a master’s degree in history. That led to a post as adjunct professor in history at York College. “People have all sorts of life experience,” he says. “They’re interested in the topic.” While college students attend mandatory courses, a scheduled Willow Valley Communities talk on the Incan Empire needed a larger space to accommodate the overflow crowd. 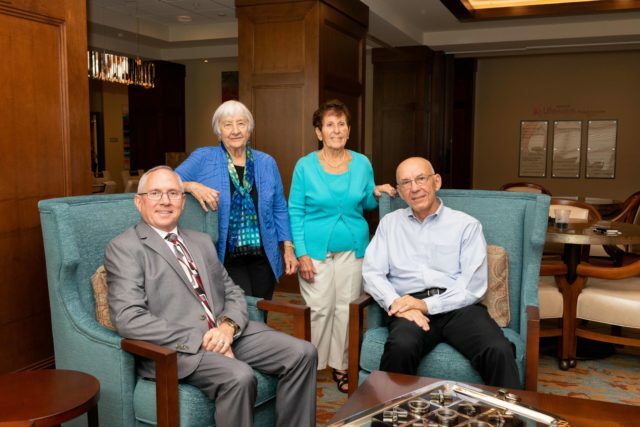 As member of the Harrisburg Symphony Orchestra board, Maietta helps increase awareness of “this very successful, very high-quality professional arts organization.” He and Judy, his wife of 48 years, often travel the world. With Messiah Lifeways’ Pathways Institute, Maietta teaches and serves on the curriculum committee. He finds topics by gauging interest among Pathways learners and by tapping into his inherent curiosity (he used to be teased for reading the encyclopedia at the family picnic table). Barbara Van Horn and her codefendants had just heard from their attorney. “They don’t think our trial is going to be until January or February,” she reported. About those arrests: Kneeling at the boundary of a Nevada nuclear test site, where “people at the test site put rugs down for us to kneel on.” Protesting the Keystone XL pipeline in Washington. Refusing to budge from outside the home of an elderly veteran being evicted. Handcuffed and hauled away from the Nun’s Chapel, ground zero for protesting the Atlantic Sunrise Pipeline. “I only was arrested by myself once, and it wasn’t nearly as fun as getting arrested with friends,” she says. She has started a free public library in Columbia County. In Mifflin County, her church work helping rehab homes led to her longtime affiliation with Habitat for Humanity. Her 30 years as a trained mediator for Neighborhood Dispute Settlement led to time as a victim-offender mediator. Mediation requires “a good listener.” She has seen miracles, such as the convicted murderer and model prisoner who got permission to host “a little tea party in the prison” for the sisters of his victim, who came to tell him that their brother shouldered much of the blame for his own death.